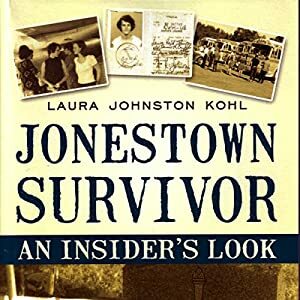 JONESTOWN SURVIVOR: An Insider’s Look is now available in audio! Laura Johnston Kohl moved to California to join her sister. Soon after that, she was introduced to Peoples Temple and spent the next nine years in California and Guyana. She was away from Jonestown on the day when 913 of her friends and family died. The next twenty years were spent recovering, and rebuilding her life. For the first ten years, she lived in Synanon, a residential community. The following ten years, with her husband and young son, she began rebuilding her life.